No matter if it comes to a residential or a business property, outdoor areas are something that should be taken care of with utter attention. However, this would be hard for someone who does not have the necessary equipment. This is exactly why our company is here for everyone in Earls Court who would need some help to clean their outdoor areas thoroughly. Cleaning the dirt and grime from your driveway, pathway or patio is as easy as child’s play to us, and the best part is that you can rely on our jet washing technicians for carrying out hot and cold pressure washing of your external walls, pavements, tile- and concrete-covered areas, swimming pools, etc. 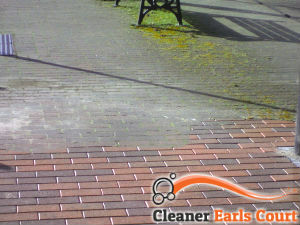 All cleaners who carry out our jet washing services are perfectly qualified to do the job. Their motivation and personal skills plus the special training they have underwent come here to prove that the pressure washing that is to be performed will offer the best quality and respectively, the best results. Over the last few years our company has managed to become one of the leading providers of jet cleaning services in Earls Court, SW5. Currently, we are one of the most-preferred partners for both residential and business users at the territory of London not only due to the great results we provide but also thanks to the reasonable prices our services are offered at. All individuals who are part of our professional cleaning teams are qualified and skilled enough to carry out the pressure washing procedures in a efficient and safe manner. Our cleaners will make sure they check the condition of the outdoor areas that need cleaning in order to choose the best equipment and cleaning products for every individual case, so that the best results to be provided. 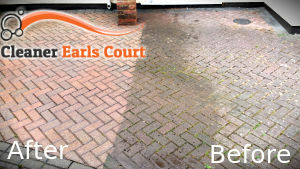 Our jet washing service is available to both home owners and retail and business customers in SW5 24/7. Just give us a call and book a package now!